What are Prescription Drug Benefits with Medicare Advantage with Part D? Prescription drug benefits under Part D, if I can just give a brief education, Medicare is basically split up into four parts. You’ve got Part A, hospitalization type benefits, Part B, doctor surgeons, you’ve got Part C, which is an expansion of Medicare benefits, which most often times, more often than not, incorporates what’s called Part D. Part D is better known as prescription drugs. Medicare advantage has Part D in it. If you have a supplement, a standalone policy that supplements the benefits of Medicare A and B, you can get a Part D prescription drug benefit by itself. Now, I can stare into my eyes right now retrospectively and I’m already glossy eyed. Most people, one of the reasons we are needed, Medicare is complicated. And I know what I just said probably is somewhat complicated. But if I could simply give the short answer, Part D is the part of Medicare through an insurance company that offers prescription drugs for your ailments. 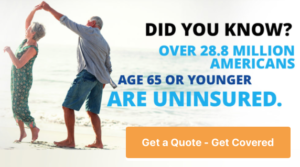 If you are looking for Medicare Advantage with Part D in North Carolina contact The Mair Agency today. We have agents in your county that can assist you with the application process. While we have a large presence in Raleigh, Charlotte and Wilmington, we can help you in any county of North Carolina.